SECO was the first company to release an open clamp bipod, called SECO The Original Thumb Release Bipod. The SECO 5217-04 model, and its smaller younger brother the SECO 5217-05 Mini Thumb Release Bipod, are both still popular years later. Nowadays, variations of SECO's The Original Thumb Release Bipod offer a wide range of leg and clamp sizes, with heads that suit rectangular bars, invar bars, prisms and poles. SECO even has an extra-lightweight carbon fiber Thumb Release Bipod (SEC5219-03 if you are looking to upgrade). 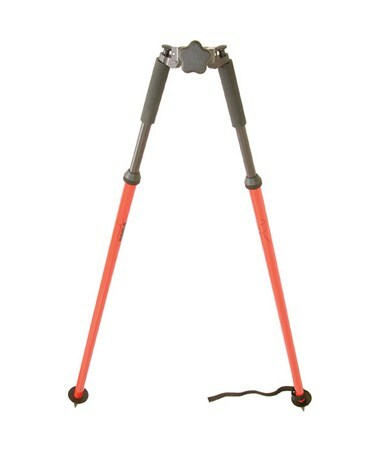 The SECO The Original Thumb Release Bipod 5217-04 has a stainless steel thumb screw head that can hold 1-1.25" (25-32mm) outside diameter poles or prisms, or top load 1.5"(38mm) poles or prisms. A key feature of the original design is the SECO 5217-04 Thumb Release Bipod's independent telescopic legs, which extend from 43" (1.1m) up to 6' (1.8m). And at 4lbs (1.8kg), this year's SECO 5217 Thumb Release Bipods are as easy to transport as they have always been. Get SECO's original thumb release bipod in your choice of fluorescent orange (-FOR), fluorescent yellow (FLY), red (-RED) or yellow (-YEL). 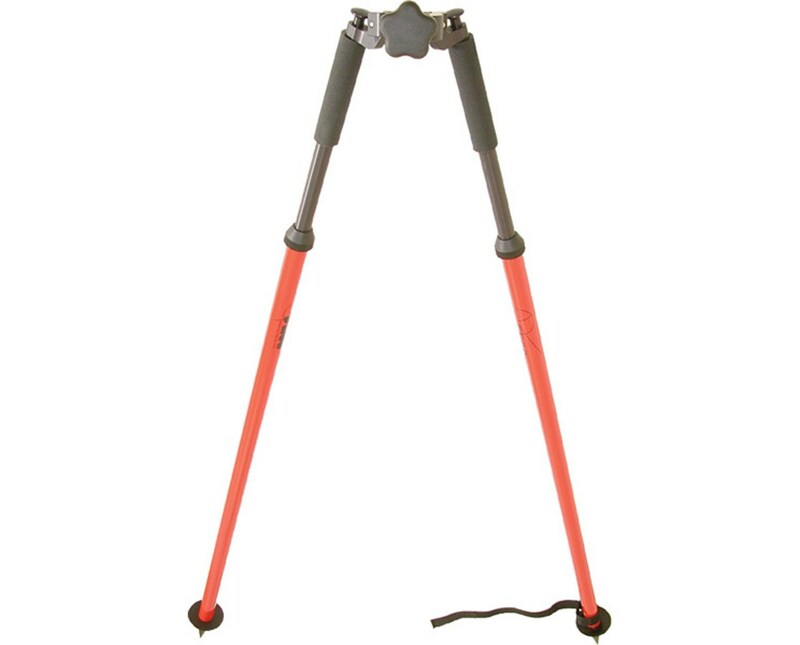 For a scaled down version in the same range of colors, go for the 5217-05 Mini Thumb Release Bipodm, with independent telescopic legs that extend from 25-35" (0.64-0.89m) and carrying weight of just 3.5lbs (1.6kg).